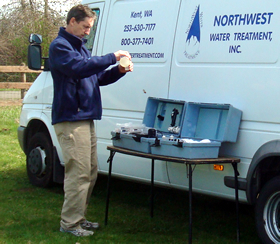 Contact Water Filtration and Treatment Specialists Northwest Water Treatment, Kent / Seattle, WA. Contact us to learn more about solutions to your water quality issues, to schedule on-site water testing and analysis, routine maintenance, repair, or warranty work. Use the convenient form below to contact us. Required fields in *red.